SkinOvations Skin and Laser Center is a medically based Skin Care and Laser Center dedicated to specializing in advanced aesthetic and anti-aging procedures. Our therapeutic treatments focus on restoring you to your optimum skin health. 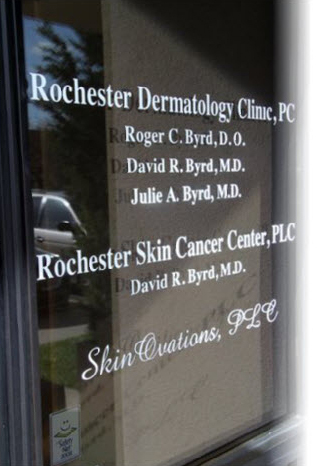 Under the medical supervision of Dr’s Roger, David and Julie Byrd, our Skin and Laser Center is staffed with certified laser technicians and licensed aestheticians with advanced training in skin care and cosmetic services. At SkinOvations we specialize in making patient’s look and feel more youthful. Our treatments are customized to meet your individualized needs and desires. By combining the latest medically-based scientific technology we offer top of the line, expert skincare therapies and provide an unparalled level of expertise. The Staff at SkinOvations are committed to our patients in providing them with the latest and most progressive anti aging treatments in a relaxed and comfortable environment.